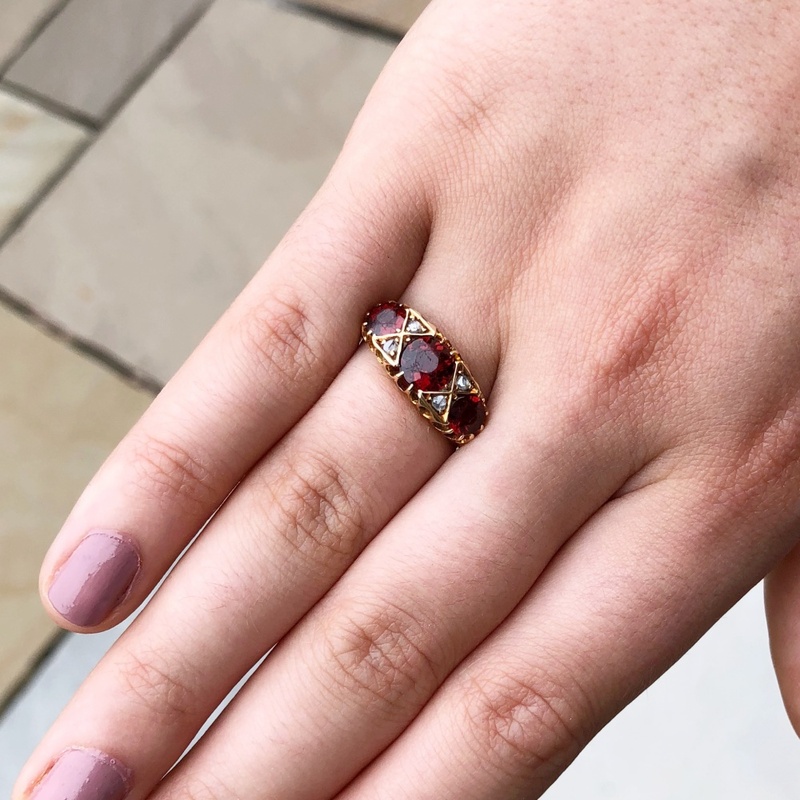 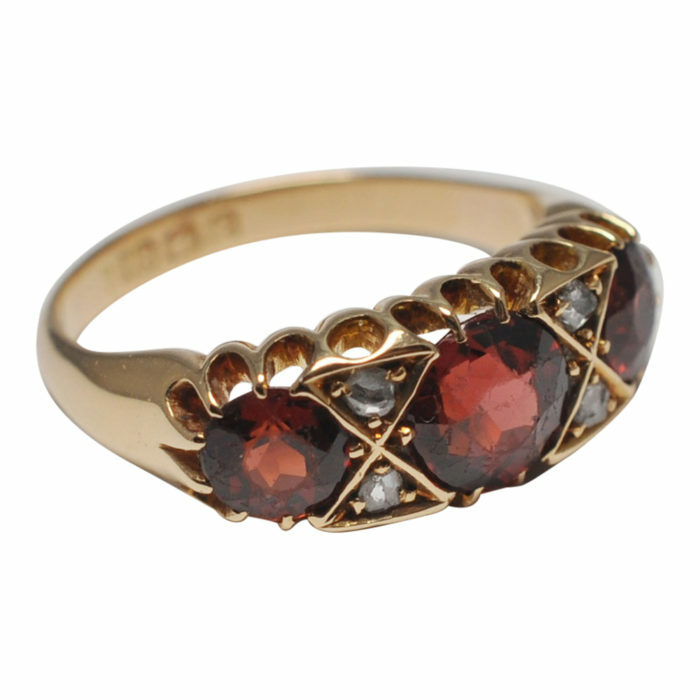 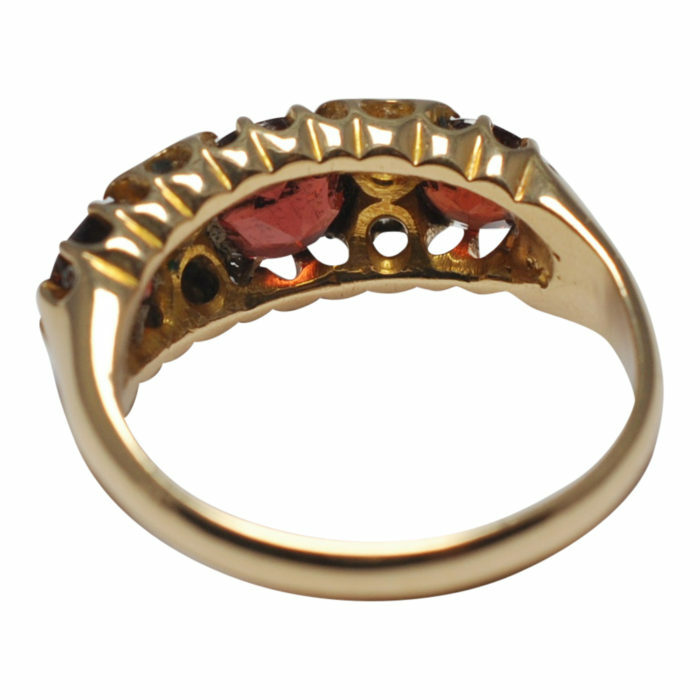 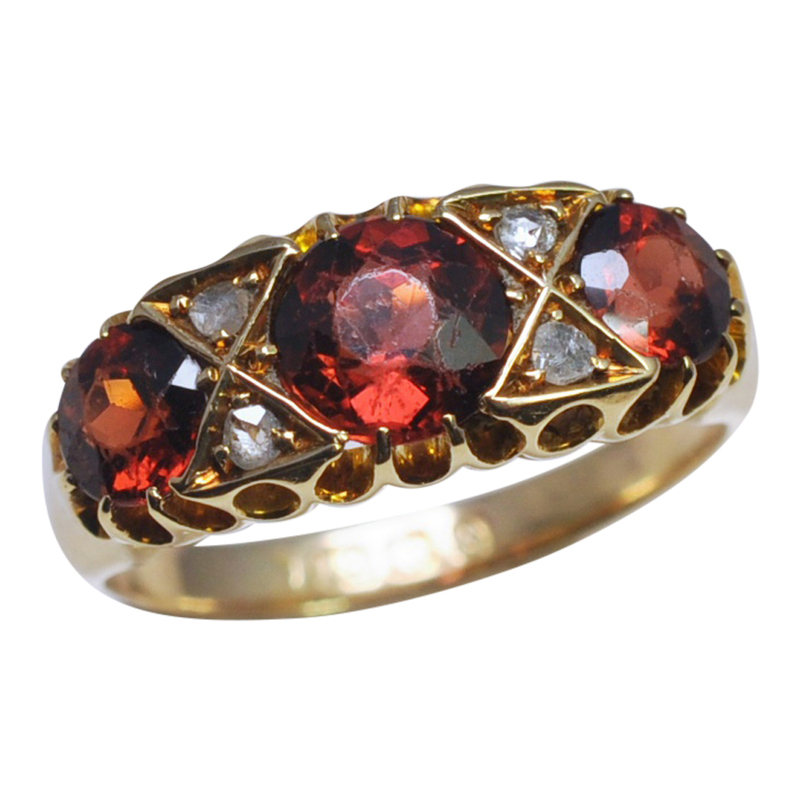 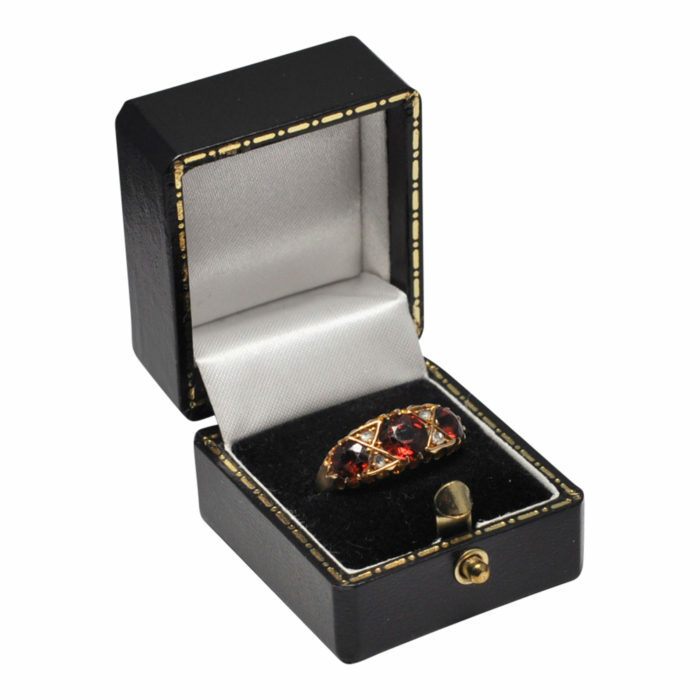 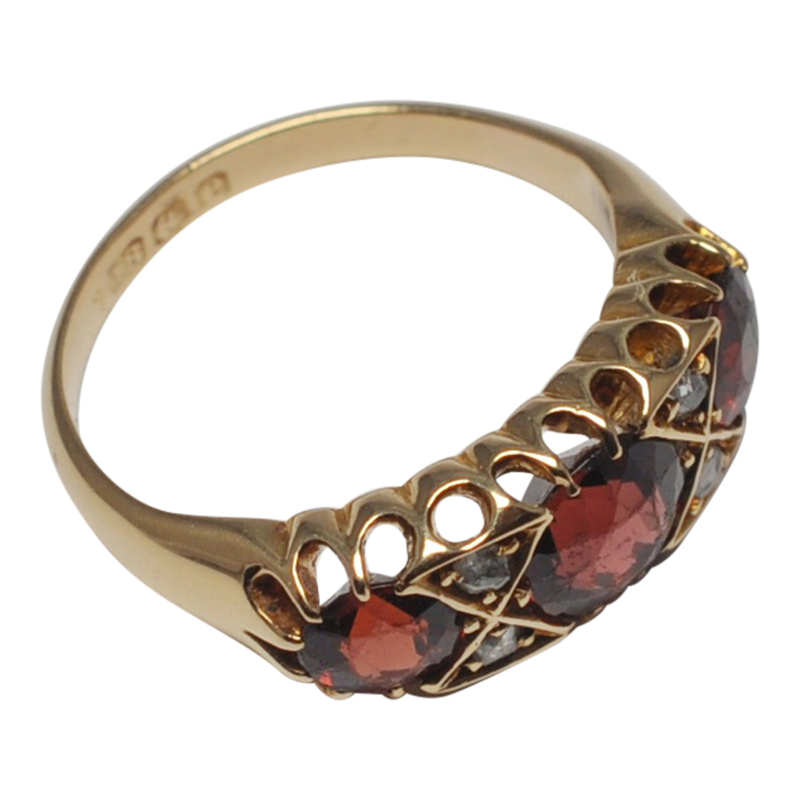 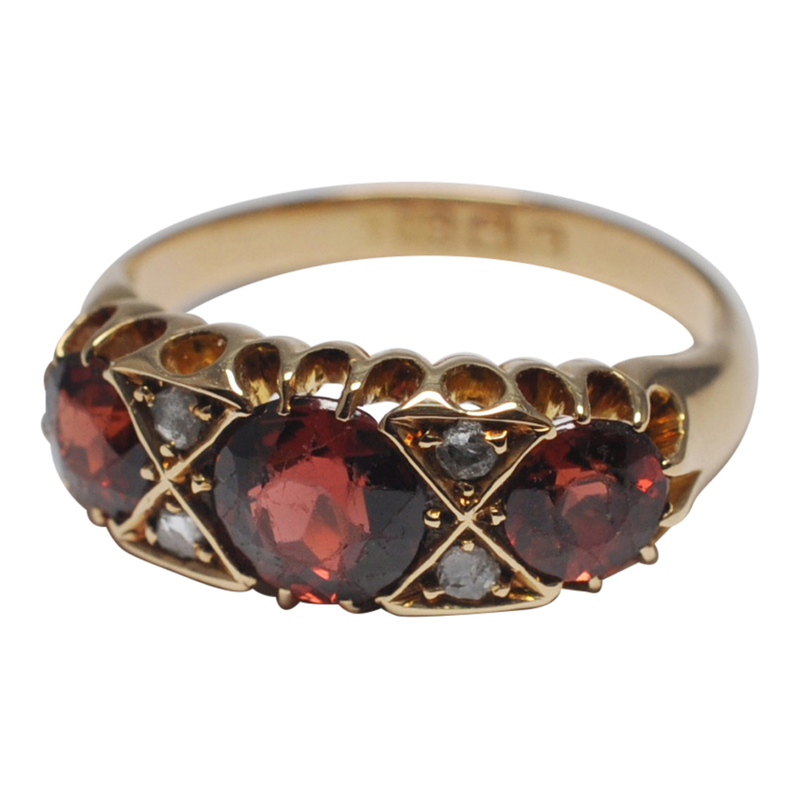 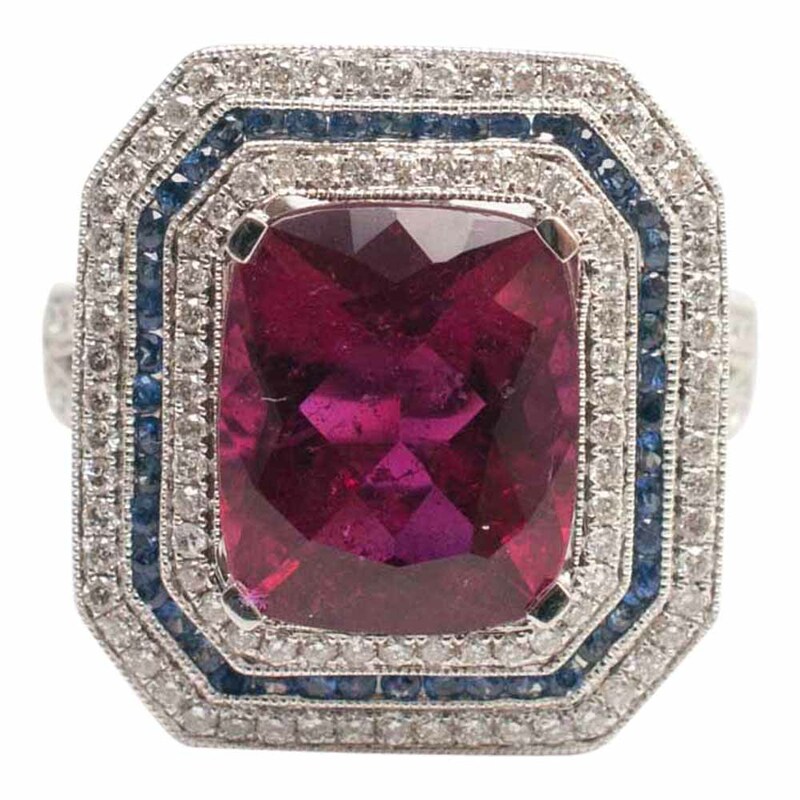 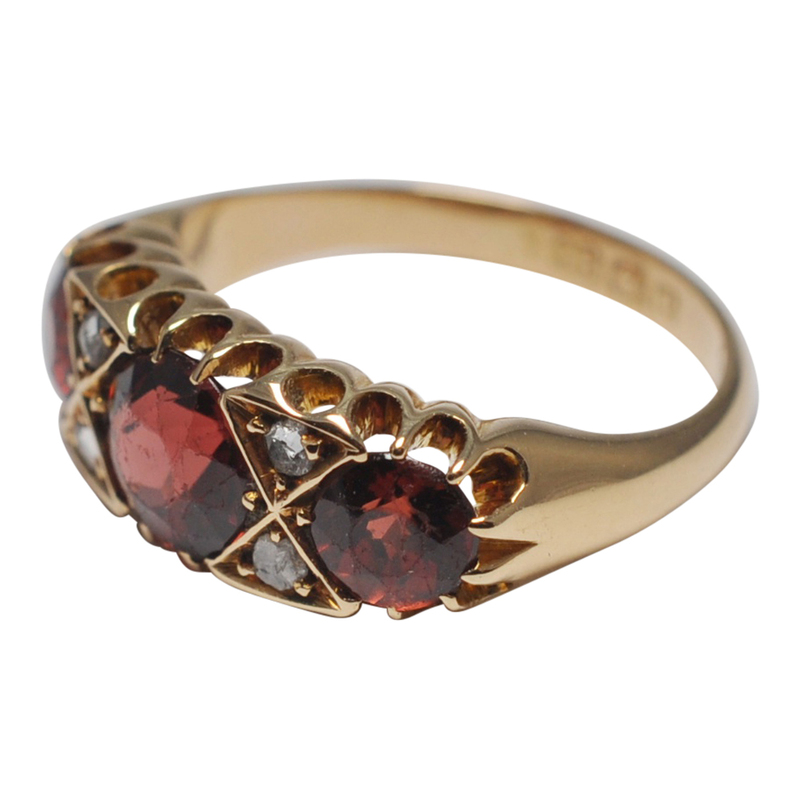 Edwardian garnet and diamond ring set in 18ct gold; the ring is in the classic antique English 3 stone design and set with three beautiful deep burnt orange garnets separated by rose cut diamond accents, all mounted over a pierced gallery. 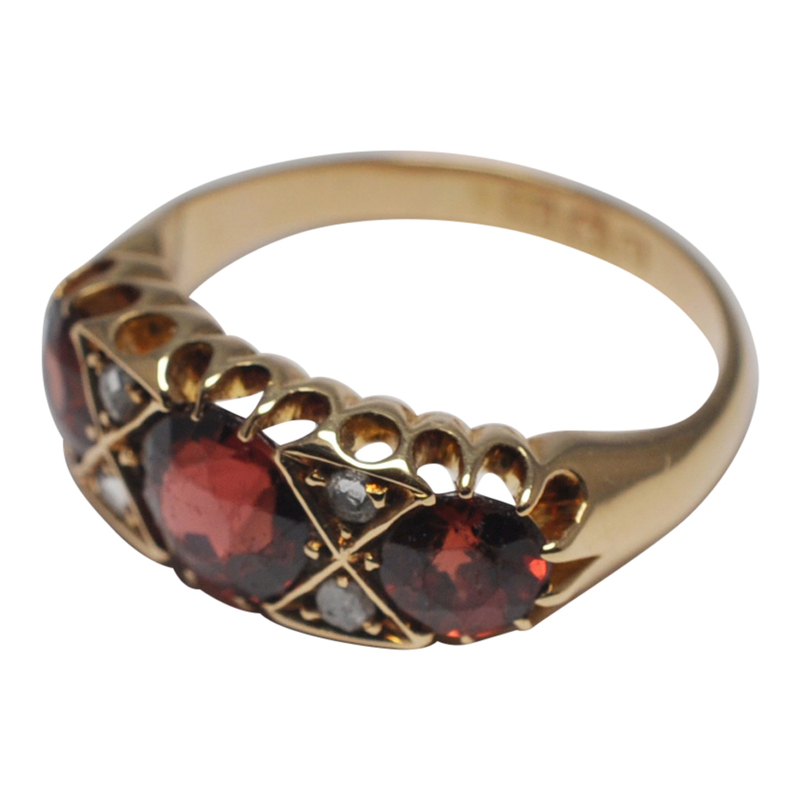 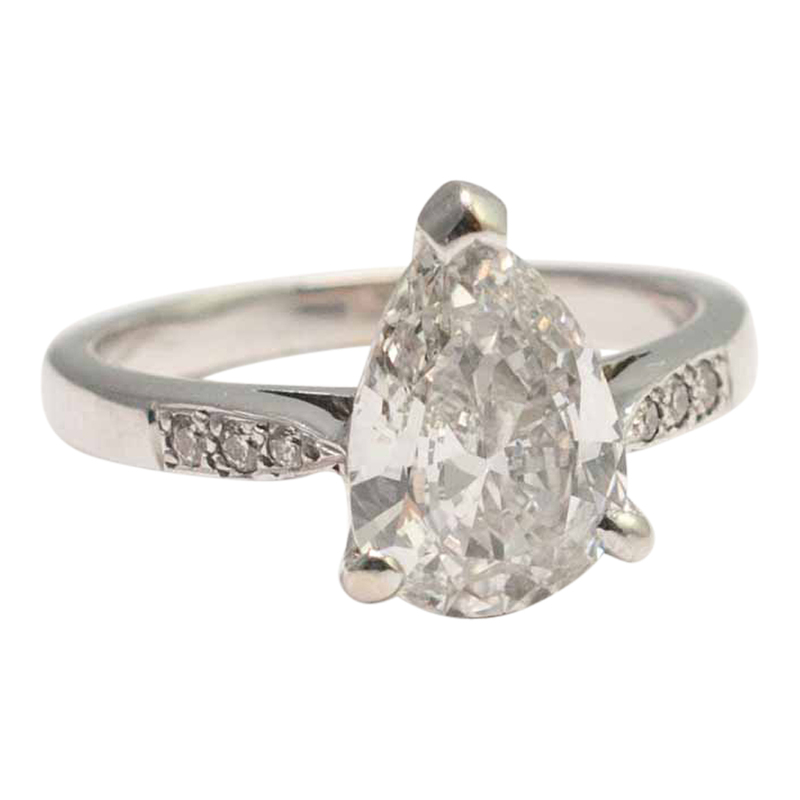 This would make a wonderful alternative antique engagement or wedding ring and is in good vintage condition with a gold solid gold band and with some surface scratches on the stones. 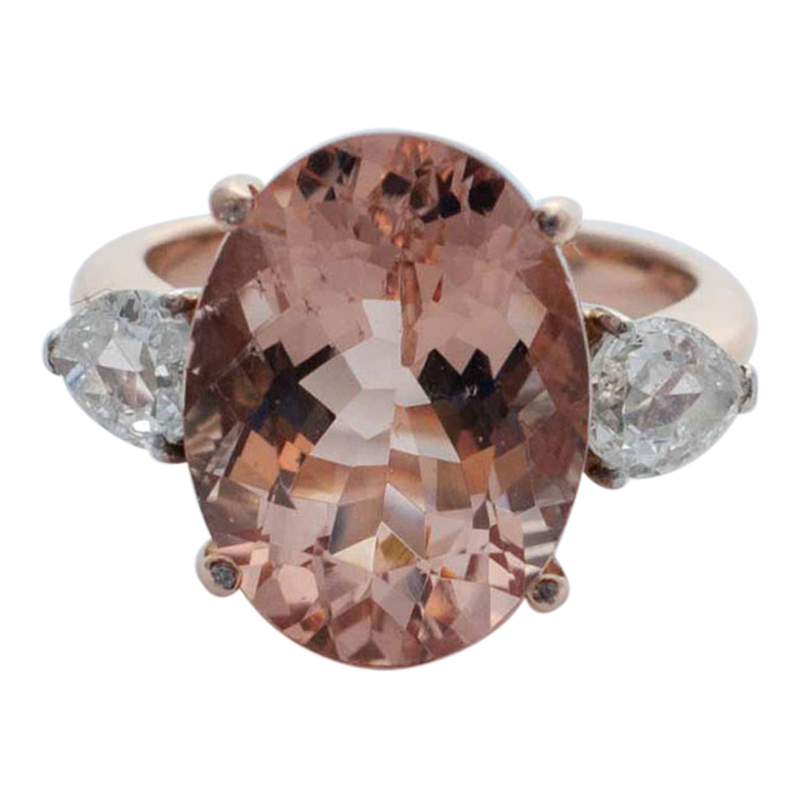 The garnets have the most beautiful rich deep orange tones which reflect perfectly with the gold of the setting. 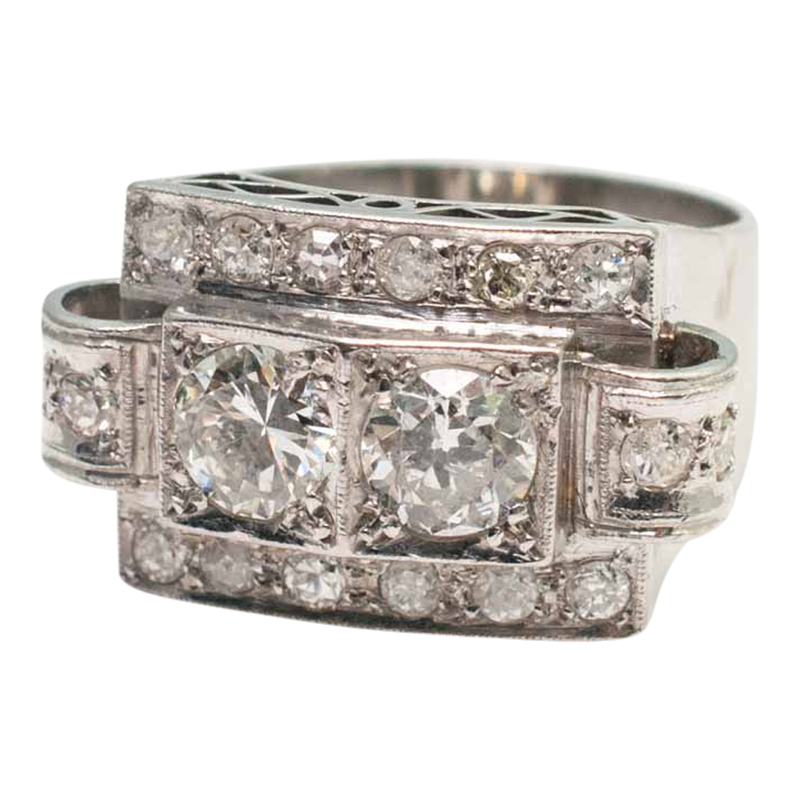 Weight 4.8gms. 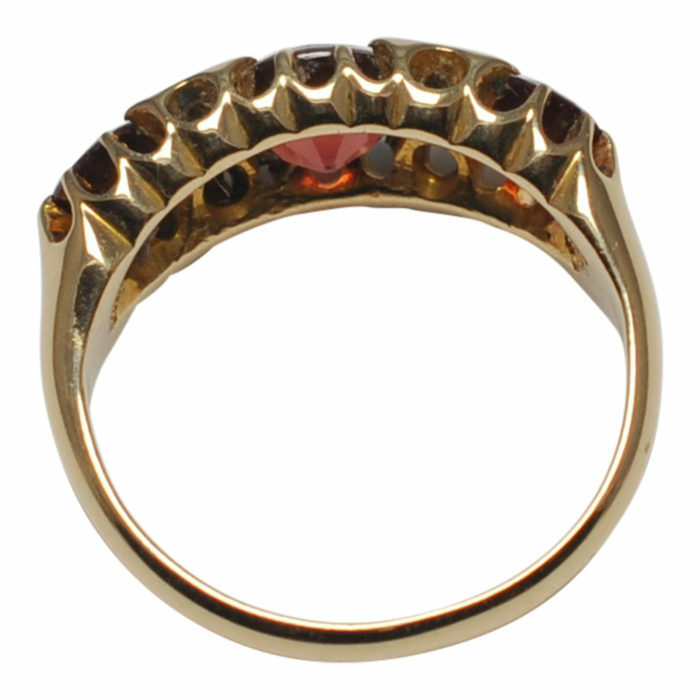 Depth 8mm x width of head 19.5mm; Hallmarked Birmingham 18ct gold 1904; finger size K1/2 (UK), 51 (French), 5.5 (US) which we can re-size for you if required.